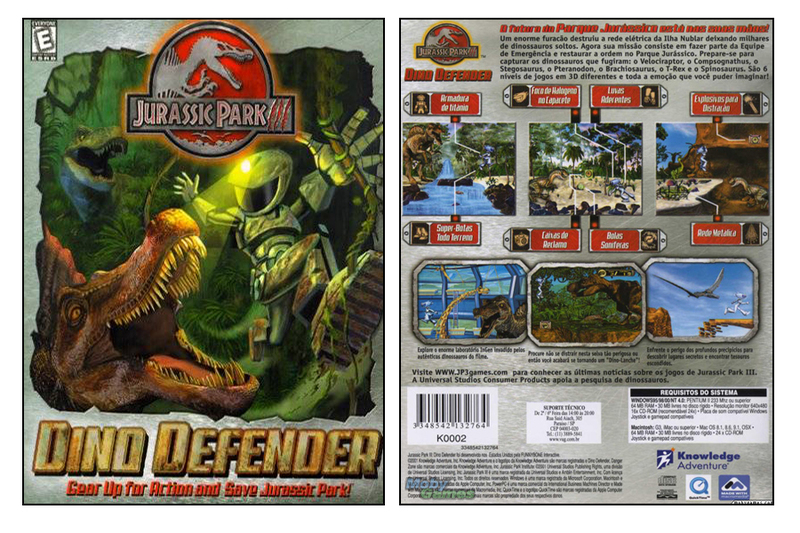 Dino Defender is a side-scrolling video game, part of a multi-product lineup that I represented at Vivendi Universal Games. 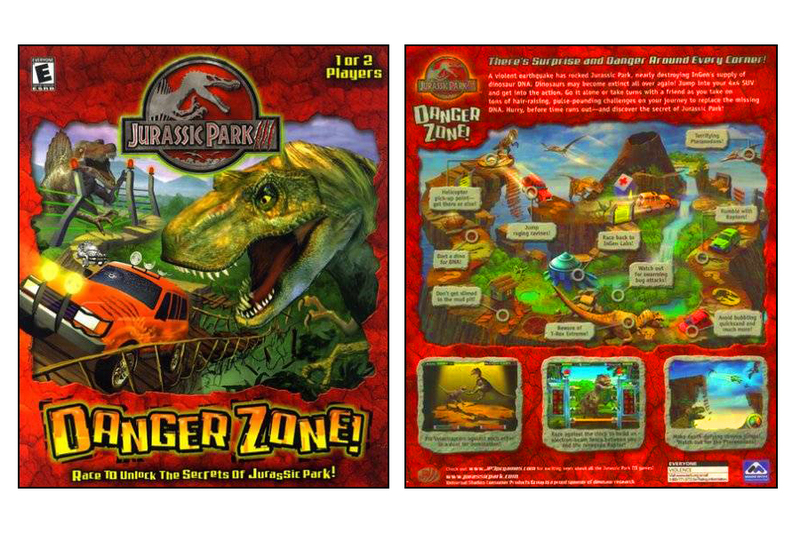 These products were a particular challenge because we were targeting a younger age group than most of the Jurassic Park games being published. Dino Defender targeted 8-12 year-olds. My team and I utilized extensive focus group research to identify trigger points among the audience; we focused the game and packaging to hit those hot spots. Danger Zone! is a video board game based on Jurassic Park III for the PC. This game was targeted to even younger audiences (ages 6-10) so it was really important to build a really fun game for kids that wasn’t too scary! Packaging was a particular accomplishment because we were able to generate excitement from the visuals, especially the back of the box, so kids could “envision” themselves playing the game. 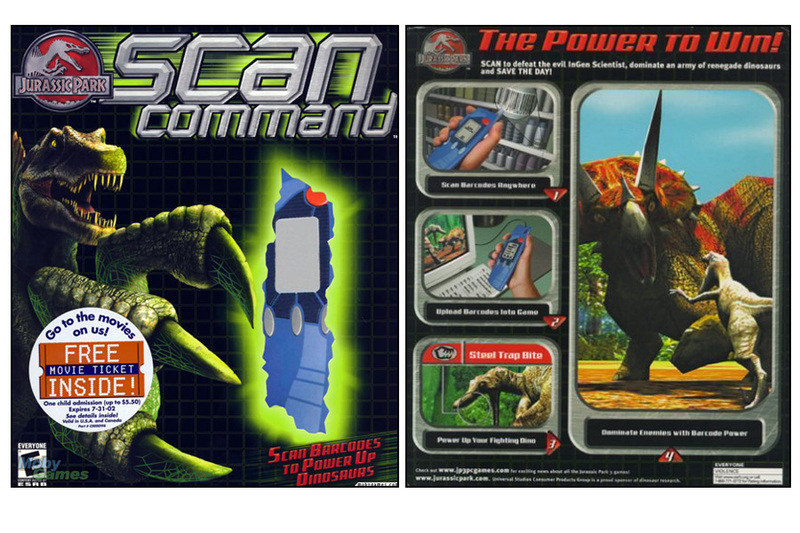 Scan Command, a 3D action-fighting PC game, represented a huge challenge and significant accomplishments in my marketing career, because it was a complex 3D PC game as well as a product using fairly-new technology that required product development. Scan Command also came with an amazing barcode scanner accessory. Players used the accessory to scan UPC barcodes off products (everything has a UPC barcode!) and those codes were converted into special dinosaur powers for use in the game. So, the more barcodes a player scanned, the stronger his fighting dinosaur would become! 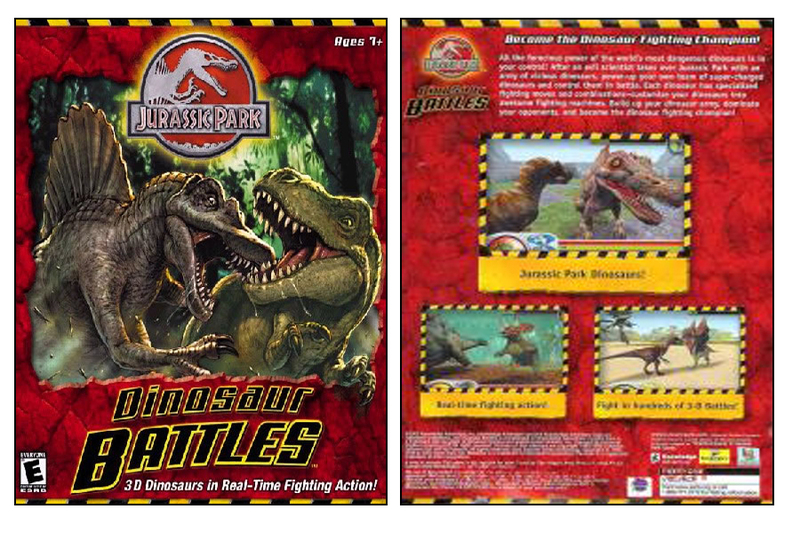 Dinosaur Battles was not part of the original JP3 games lineup. We modified the Scan Command game so that it didn’t require the scanner accessory to play, which allowed us to significantly lower the price. For packaging, I was able to use some illustrations that we had already commissioned but didn’t use for the other packaging. This game was very successful, even without the scanner!